The cold snap has hit the UK, with temperatures plummeting below zero in some areas. The headlines are telling us to expect the worst winter for 100 year with some places expected to experience lows of -20?c. There is also an increased likelihood of snow. With the imminent bad weather ahead now is a great time to think about how to prepare. From stocking up the cupboards with supplies, airing out your winter duvet, to making sure you have the right shoes and clothing for braving the adverse weather. If you don’t have everything you need, now is the time to get ready for winter. Here are some great products which will keep you protected for years to come. 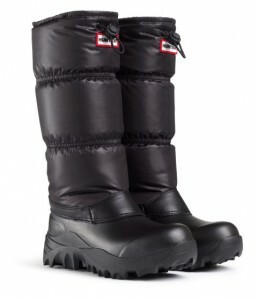 This Hunter Snow Boot comes from Hunter’s functional rather than fashionable range. Instead of slipping around on icy pavements with your normal wellies on, these Hunter snow boots have a Vibram® sole with Icetrek™ technology. It sounds good but what does it mean? Vibram® soles are an Italian design based on Pirelli tires, and were created for the climbing market in the early 20th century. Icetrek™ has been developed by Vibram® specifically for snowy and icy weather; the rubber soles provide a firm grip even on the smoothest ground. They won’t just keep you standing, they will also keep you warm with a nylon quilted leg. You would expect Scandinavian brand Harkila to know a thing or two about making products for cold weather, and rugged landscapes. The Harkila Pro Hunter GTX 7½ boot for men are GORE-TEX® lined for weatherproofing, and feature a Vibram® Fire&Ice™ sole. This Vibram® sole has been designed to withstand temperatures ranging from -20 ?c to +250 ?c! 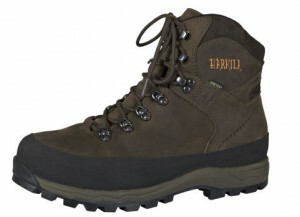 They have excellent grip too so you can feel confident about walking through icy patches. 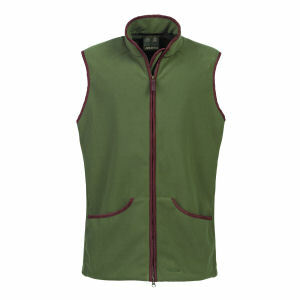 Whether you’re a shooter or not, this Musto gilet is a great layer to add under your coat. Even though it is lightweight, it has thermal insulating properties and is windproof. Musto produce technically demanding products for specific fields, which is why they are high quality and long-lasting. 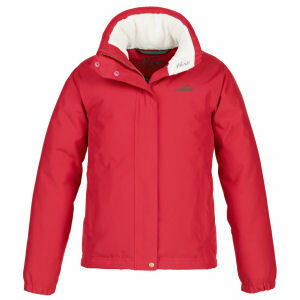 Nothing will keep you warm like this jacket, with its duck feather and down filling. Produced for the equestrian market, this will keep out the chill if you’re a horse rider or not. A bonus of this jacket is that it is waterproof, and machine washable. 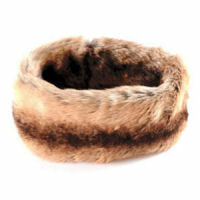 Fashionable and warm, this is a great accessory for ladies. Available in chinchilla, lynx or leopard designs, there is a style to go with any winter outfit. 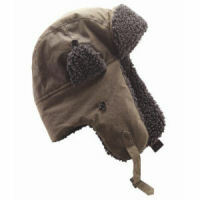 This will keep your ears protected from the cold, and your head warm. Keep warm and cosy with the help of Barbour. These hunter style hats continue to be popular year after year, and it’s no surprise when you try one for yourself and see the effect it has! We hope you don’t get caught out in the cold weather, and if you’d like to see our full range of clothing and accessories, please click here. Christmas, Harkila, hunter, Musto, Windjammer gilet. Bookmark.